Along with their regular meeting on Wednesday, March 22, the Elk Grove City Council will also hold a special meeting this week. 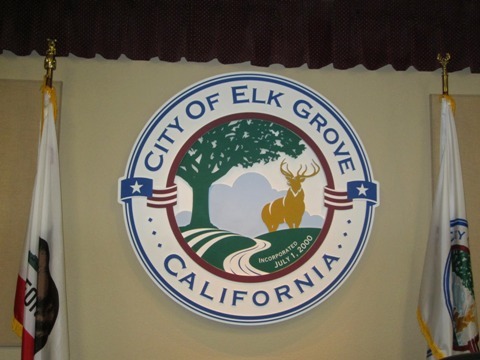 The second special meeting, which will be held on Thursday, March 23, is a so-called biennial "retreat" that, as the name implies, will be held away from the Elk Grove City Council Chambers at City Hall. This year's event is being held at the Falls Event Center. The agenda for the meeting include presentations from the City's departments, a discussion of City Council members visions and goals, and a discussion of "Two-year Strategic Imperatives." The public will also be invited to comment at the conclusion of the meeting. At the last session in March 2015 Mayor Steve Ly, who was a Council Member, stressed that he wanted to focus on education as a means of developing the City and they should work closely with the Elk Grove Unified School District. Council Members Darren Suen said he wanted to ensure Elk Grove was a place where people could live in retirement; Steve Detrick's focus was on public safety and infrastructure maintenance; and Pat Hume emphasized his interest in preserving the agricultural communities within city limits as a means of harnessing the farm to fork movement and exploration of taking over the Cosumnes Community Services District. Former Mayor Gary Davis, who presided over the meeting, said the City should focus on the development of athletic facilities like the long-stalled aquatics facility, and the proposed $100 million soccer facility and stadium as a way of transforming Elk Grove into a tourist destination. At the time of the meeting former Elk Grove Assistant City Manager Becky Craig said the City would be accepting bids for the proposed Civic Center aquatic facility and that construction would start in the summer of 2015 with an opening by the summer of 2016. As of today, there is construction start date for the aquatics facility, and no contracts have been awarded for construction or operations. Elk Grove City Manager Laura Gill said that Davis' pet project, the soccer facility to be located on the City-owned 99-acre parcel on Grant Line Road, which was estimated at $120 million at the time, would be a challenge. Gill acknowledged financing for the facility as Davis and the City's them partner in the scheme envisioned it, former California Assembly Speaker, Fabian Nunez, would be difficult. Thursday's meeting will be at the Falls Event Center, 8290 Elk Grove Blvd., South Building, Main Event Hall. The meeting is scheduled to start at 3 p.m.
With all the money spent on the land purchase, feasibility studies, and the hype that went along with it, I think the Council owes us an explanation on why there has been 'radio silence' on the great soccer facility currently being used for hay production.